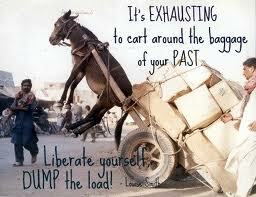 Are you carrying around all the baggage from your life? Do you still keep the burdens of the past strapped onto your shoulders? If yes, why? Why are you hauling all of that extra luggage around? It’s slowing you down and crowding your space! Instead, do you want to raise your vibration and move forward with joy and lightness? Seriously, I know it may seem that remembering and carrying all the hurts from the past protects you from future pain, but let’s look at this in more detail. How free could you feel if you dropped all of your baggage? How quickly could you move without all of that extra weight? (A little hint: A LOT! I dropped some excess baggage recently that I didn’t even know I had and let me tell you- it felt absolutely amazing and freeing to finally let it go.) Carrying your past hurts and disappointments around closes you off, and it hinders you from opening up to new, wonderful experiences. If you are a little pinched off because of all your baggage, fine. Don’t beat yourself up, but observe your burdens. Be aware of what you are holding on to, and just be with the question, “Can I let this go?” And then ask yourself, “can I afford not to let it go?” What opportunities are you missing out on because you are closed off? Are you missing your bus, so to speak, because you can’t run to catch it with all of your bags? To begin releasing those bags, just start by simply saying to yourself, “I am releasing this. I am letting go of all of these old burdens. I am ready to let it go!” You don’t even need to know what the burdens are. 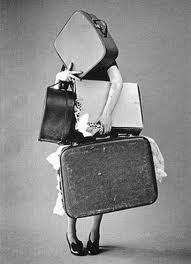 You may be so used to carrying your baggage that you don’t even know it is there. When you decide to let go, be determined to move forward. You don’t need to think about it. Just decide to let it go and then do it. When you begin releasing these bags, you will feel lighter and freer. I guarantee it. Who doesn’t want that? Your heart will open. Don’t be afraid of it- it’s an amazing experience! Now, emotions may come up for you to release. This is normal, and it can be a fairly easy process. Don’t resist it. When stuff comes up for you (in other words, these may be recurring patterns of emotions that are ready to go once and for all), don’t fight it or slap a smiley face over it. Feel it and then let it go. I’ll repeat that. Feel it, then let it go. Don’t think about it. Don’t tell the story over and over. When you simply feel without thinking it to death, this stuff will leave easily! For now, just be aware when you are thinking too much. Learn to drop the endless mental dialogue and clear your mind. Practice letting go on a daily basis. Every morning, be determined to release old burdens and resistance. And remember- no story about the burdens. Do you want to feel lighter and freer? Are you ready to create the life of your dreams? Then check your baggage in. The Olympic Summer Games — the quadrennial sports and advertising extravaganza — are now underway. Once again, we’ll be thrilled (and perhaps even inspired) by the graceful gymnasts, the lightning-fast sprinters, and the seemingly inexhaustible swimmers. Less thrilling is the endless drumbeat of ads from long-time sponsors Coca-Cola (since 1928) and McDonald’s (since 1976). Their ads are too clever to nag you to fill up on Big Macs and large Cokes. Instead, they worm their way into your heart to create warm, fuzzy feelings. Companies love to sponsor the Olympics. They reach millions of eyeballs with their seductive TV ads, and they know that some of the squeaky clean, healthy images of star athletes will rub off on their sooty reputations. The London Assembly urged the International Olympic Committee (IOC) to adopt criteria for sponsors that would bar companies like McDonald’s and Coca-Cola. The Academy of Medical Royal Colleges said that McDonald’s and Coca-Cola’s sponsorship “sends out the wrong message” to children. Even the IOC president, Jacques Rogge of Belgium, acknowledged a problem. The next summer games will be held in Rio de Janeiro in 2016. Brazilians are one of the world’s biggest consumers of soda (fueled by Coca-Cola’s billion-dollars-a-year investments), and host to over 650 McDonald’s outlets. Experts predict that Brazil’s bulging waistlines may grab the world record from the United States by 2022. 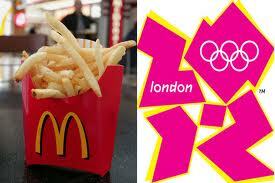 Will junk-food marketers get an Olympic carte blanche again? I hope that the four-year breather will give Olympic officials and companies time to work out a deal: If you want to link your brand names to the games, you may only promote and sell your healthier products. 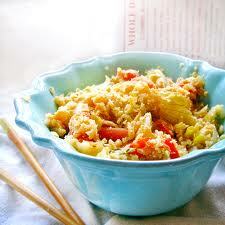 Using a potato masher, mash the cauliflower until it resembles the consistency of rice. Add extra vegetables to the mixture. 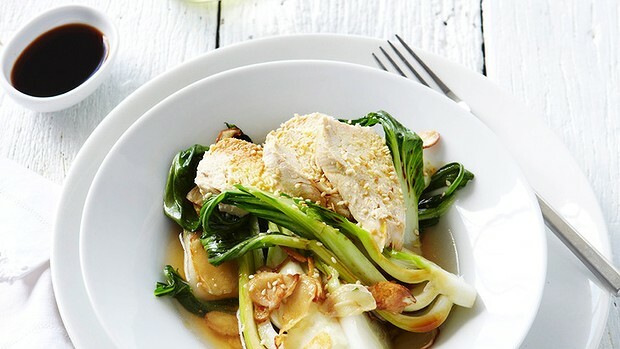 Add your choice of meat, poultry, seafood or tofu. A heart attack occurs when one of the arteries that supplies blood to the heart is blocked. The underlying cause is coronary heart disease (CHD). Risk factors for CHD include smoking, a high total blood cholesterol level, obesity, diabetes, high blood pressure and increasing age. A heart attack is a medical emergency. Call triple zero (000) for an ambulance if you have warning signs of heart attack. To perform its duties, the heart muscle needs a generous supply of oxygen and nutrients, which it receives from blood pumped through the two coronary arteries and their branches. A heart attack occurs when a blood clot blocks one of the arteries that supply blood to the heart muscle. 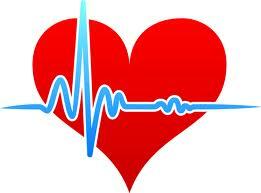 The underlying cause of heart attack is coronary heart disease (CHD). CHD is when fatty deposits (called plaque or atheroma) slowly build up on the inner wall of the coronary arteries and cause the arteries to become narrow. If a blood clot forms in the narrowed artery and completely blocks the blood supply to a part of your heart, it can cause a heart attack. The severity of the heart attack depends on how much heart muscle is permanently damaged. When having a heart attack you may experience pain, pressure, heaviness or tightness in one or more parts of your upper body, in combination with other symptoms. People have described this as ‘like an elephant sitting on my chest’, ‘a belt being tightened around my chest’, ‘bad indigestion’ or ‘feeling not quite right’. Why call triple zero (000)? Advice on what to do while waiting for the ambulance to arrive. The ambulance is the safest and fastest way to get you to hospital. It gets you medical attention straight away. Angiogram (or cardiac catheterisation) – a special x-ray of your coronary arteries. Implantable cardiac defibrillators (ICD) – a small device that is sometimes implanted near the heart to manage abnormal heart rhythms (arrhythmias) that may occur after a heart attack. You can reduce your risk of developing coronary heart disease and having a heart attack by removing or reducing risk factors for it. Risk factors are things that increase your chance of developing a particular disease. Depression, social isolation and lack of social support. The Heart Foundation’s Health Information Service Tel. 1300 36 27 87. You can speak with a qualified health professional in heart health. Warning signs differ from person to person. A heart attack is an emergency. If you experience the warning signs of heart attack, get help fast. Call triple zero (000) for an ambulance. 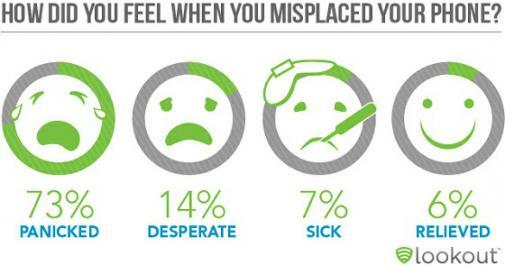 Are you addicted to your smartphone? I know I am. If you own a mobile phone this article might be for you; for you to decide if you’re addicted to YOUR smartphone. I’ll admit it, I check my smartphone compulsively. And the more I use it, the more often the urge to look at it hits me. Or it could be big — like tuning out an distressed spouse or colleagues in a meeting to check email, or feeling increasingly stressed by the fact that everyone else seems to be on call 24/7, so we perhaps we should be, too. The result? Even after a few days of this self-discipline, I found that I was concentrating better, more aware of my surroundings, and more relaxed — and I was more aware of when I was looking for something specific, as opposed to just looking for some kind of connection. What’s with all the kissing? Kissing is big news. It’s good for us. It extends our health, makes us happier, promotes all sorts of amazing chemicals to go flooding through our body, and makes us smile. All round, it’s a very fine thing that perhaps we should be doing more of day by day. If we read the research on the positive benefits of kissing, we would be at it all day long. 1. Kissing helps people relax and significantly reduces the effects of stress. 2. On average, people spend 20,000 hours (two weeks) of life kissing. 3. Kissing uses 29 facial muscles – it’s a very effective exercise to reduce wrinkles. 4. 66 percent of people close their eyes while kissing. The rest take pleasure in watching the emotions in the face of their partner. 5. A quick kiss burns three calories, an energetic kiss more than 10 calories. 6. Lips are 200 times more sensitive than fingers. 7. People who kiss their partners goodbye before going to work live longer than those who shut the door. 8. Eskimos do it this way: they rub noses together. Their lips open up once their noses meet. Then they take a deep breath and send air out while holding lips closed. After this, they notice the smell and scent of one other, followed up by pressing noses against each other’s cheeks for a freezing minute or two. 9. Kissing in public is a no-go in Japan, Taiwan, China and Korea. 10. When kissing, the body produces a substance that is 200 times more powerful than morphine, releasing a powerful narcotic effect on the body. 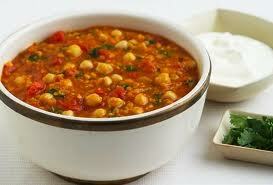 In a medium size bowl, combine the cornflour with a lttle water and mix to make a paste. Gradually add the remaining water, mixing well to ensure there are no lumps. Add the soy sauce, fish sauce, garlic and chilli. Add the prawns and stir gently to coat. Refrigerate for 30 minutes. Heat a wok over high heat. 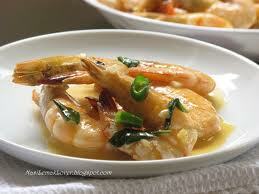 Add prawns and marinade to wok and cook until prawns are pink, adding more water if needed. Add the vegetalbes and toss for 2 minutes. Remove from heat, stir through the coriander and serve. Did you know that Coffs Coast Health Club now offers massage? That’s correct, you asked for it and now you have it! So what can massage do for you? Well let’s highlight the benefits of massage & if you would like to experience these benefits for yourself why not make a booking on: info@coffscoasthc.com.au or ring 6658 6222. There are many ways in which the benefits of massage can improve the quality of your life. Many people think the benefits of massage are restricted to relaxation (which in itself is hugely important!). But there are numerous other health and wellbeing benefits. Peer-reviewed medical research has shown that the benefits of massage include: pain relief, reduced anxiety and depression, and reduced blood pressure, heart rate. The release of endorphins and serotonin can: prevent fibrosis or scar tissue, increase the flow of lymph, and improve sleep. Relief from pain due to musculoskeletal injuries and other causes is one of the other major benefits of massage. It can also relieve tension headaches. The benefits of massage therapy are fully integrated into the Australian health care system (via alternative and complementary medicines and practitioners). Awareness of the many benefits of massage therapy is increasing all the time. Acupressure or trigger point massage may be very beneficial in relieving back pain. After massage, EEG patterns indicate enhanced performance and alertness on mathematical computations, with the effects perhaps being mediated by decreased stress hormones. Massage has been shown to reduce subclinical depression. Massage has been used in an effort to improve symptoms and disease progression in HIV and terminal cancer patients. The benefits of massage therapy for these patients are significant in improving and maintaining quality of life. Massage assists the body’s natural ability to heal itself. It relaxes and tones the muscles preventing injuries, increases circulation and therefore improves the delivery of oxygen and nutrients to all body cells. Body of research highlights effectiveness of massage therapy. For a summary version of The Effectiveness of Massage Therapy report on current research, download by clicking here. For a full version of The Effectiveness of Massage Therapy report on the current research, download by clicking here. You are currently browsing the Coffs Coast Health Club blog archives for July, 2012.